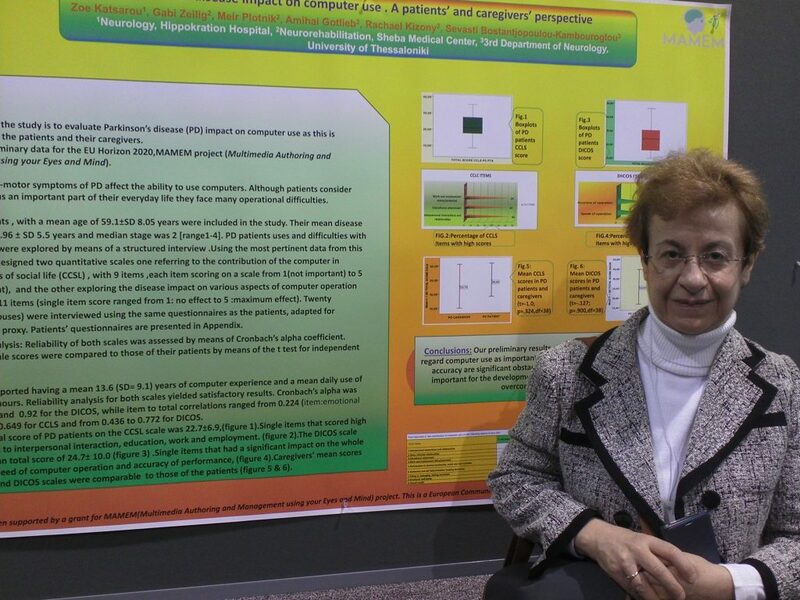 On April 28, Dr. Zoe Katsarou and Dr. Sevasti Bostantjopoulou-Kambouroglou had the opportunity to present MAMEM’s study on the impact of Parkinson’s disease on the computer use in the 69th Annual Meeting of the American Academy of Neurology in Boston, Massachusetts – USA. The annual meetings of the American Academy is one of the most prestigious venues for presenting research work in Neurology and our colleagues had the opportunity to be there with a poster presenting their work. This has been a great opportunity for MAMEM to present its results at the premium conference on Neurology and inform the research community about its achievements.